to Day 3 of StencilGirl's Blog Hop with Emerald Creek. What a great match up! I like to give any product I am sent a thorough testing. Which means I try a lot of things and make a lot of mess! Embossing Powders for me to play with. Here is one of my favorites from these last few weeks. which I mounted on top of a black covered journal. My second project started out with glass bead gel. 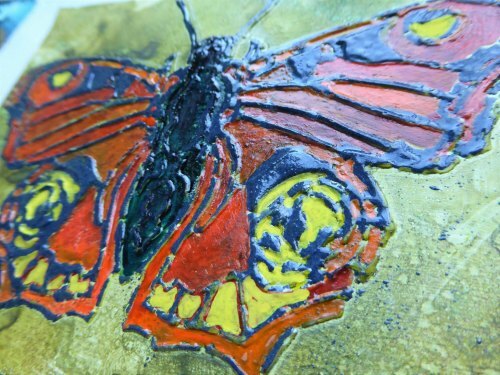 I wanted to see the depth and texture with the embossing powders. 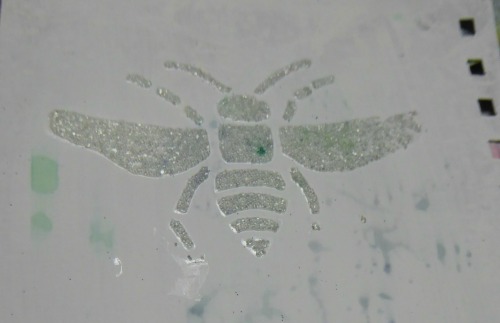 I used the bee from the Fly Away Home Stencil. 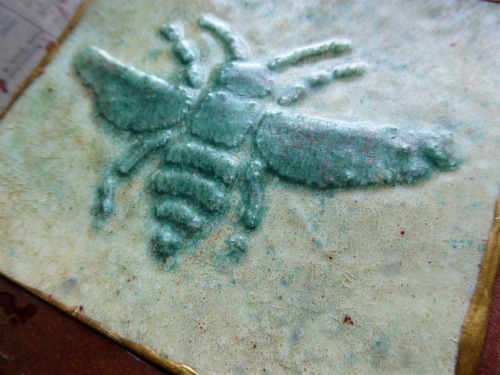 I love how this little bee turned out! This next one began on a little 3"x 5" canvas. I used Dirty Sand Baked Texture in the middle. The Patina Oxide and Deep Sea Baked Textures are on the sides. and the Journal Texture #1 Stencil on the chipboard. It's perfect hanging on my art room wall. My last two practice pieces aren't included in any journals or projects yet. or an ATC base... or a bookmark... or something? 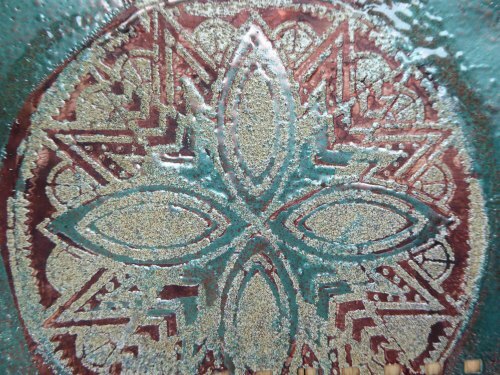 I used the Gridded Stencil and Coffee Cup Rings. And how about this Boho Butterfly! 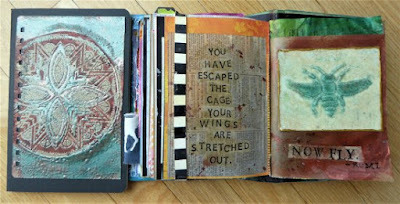 and I painted and shaded the wing colors with a variety of mediums. What a lovely project you'v made. 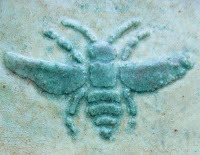 Love the bee stencil and I like the first home creation very much. Beautiful work Janet. I love that background with 3 powders. 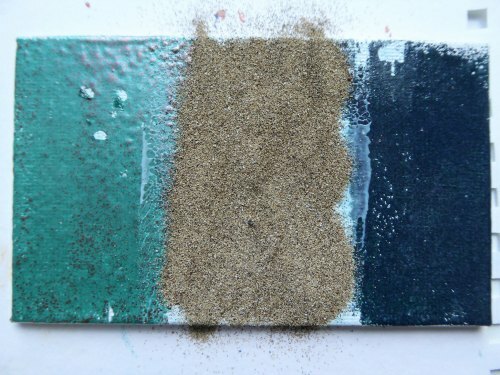 Very nice that you showing us the different ways to work with the powders. Love each one of them especcialy the bee with the glass bead gel. Thanks! the shine. Keep on "practicing". 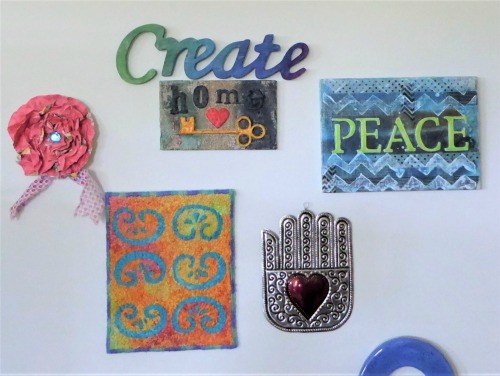 What a varied and delightful batch of projects! 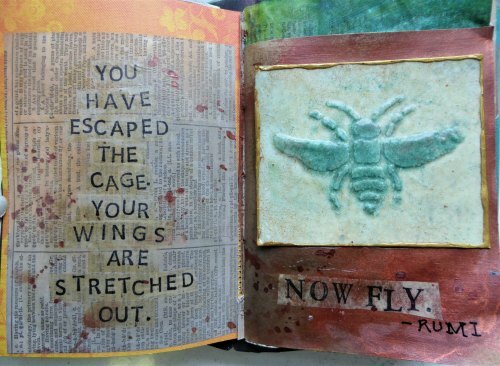 I especially love the bee spread with its quote and that great 3-D bee! 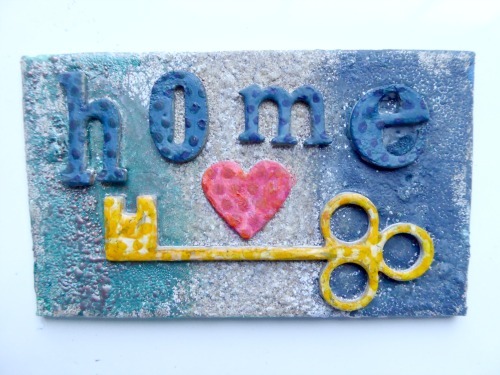 I love all the colours and textures of your projects - such fun! Such gorgeous colors and textures!! Your technique and style is very unique to me, but I think it is BEAUTIFUL! I love these thick dimensional layers! Very pretty! 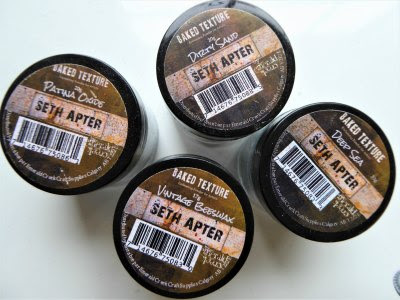 I'm fascinated by Seth's Baked Textures. For me, definitely a walk on the wild side. I love your bee!!! This is beautiful and the texture is amazing. 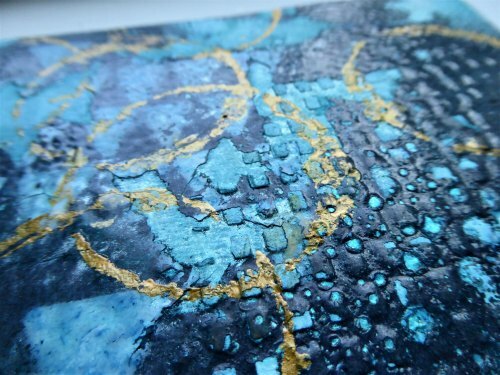 Great texture and colors! Love these pieces. Thanks for sharing you creativity and talent. Your embossing projects are all just yummy! 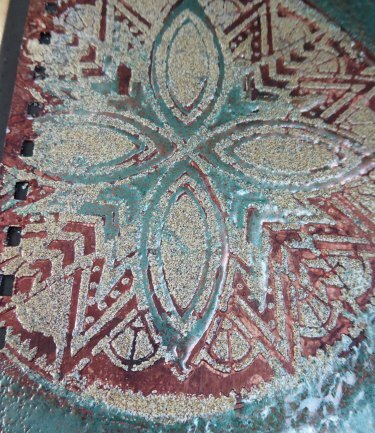 Such deep rich use of the embossing powders! Oh my gosh! These projects are amazing! Wow!!! Awesome projects!!! Amazing technique!!! Wow, these surely are a brilliant test of combining products, and such differing end results. WOW! Love these! Thanks for sharing your work! Great pieces ! Very inspiring ! You are a genius. The textures, the layers, the projects....absolutely amazing! I want to touch it! Love how dimensional this looks. the texture on the grid stencil was very cool, nice! So much to love here! That beautiful mandala! The fabulous bee! 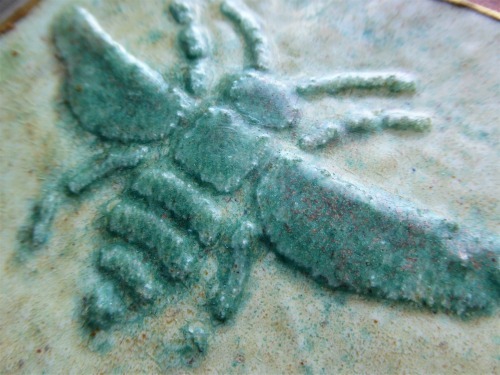 The gorgeous blues in the gridded stencil ... I think it needs to be a tag with the fab butterfly on it! (and sent to me, of course! lol!) Love it all! 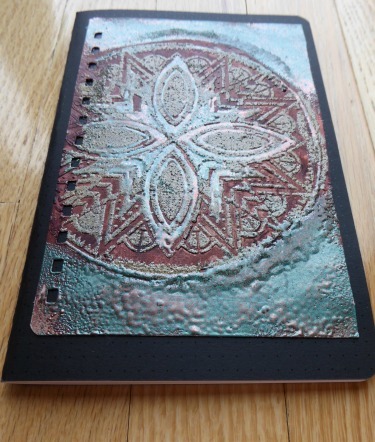 Fabulous embossing magic. I love the shine and dimension it adds to everthing. Looking forward to seeing what you do with your practice pieces. Very nice. Janet it looks like you had so much fun playing! 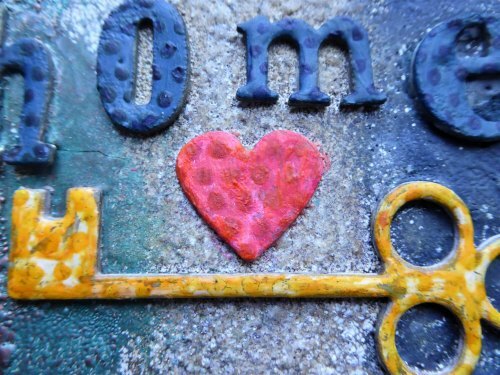 It's fun to think of all the things you can make with these... the possibilities are many. The boho butterfly is my favorite! So many great ideas! Love that little bee! 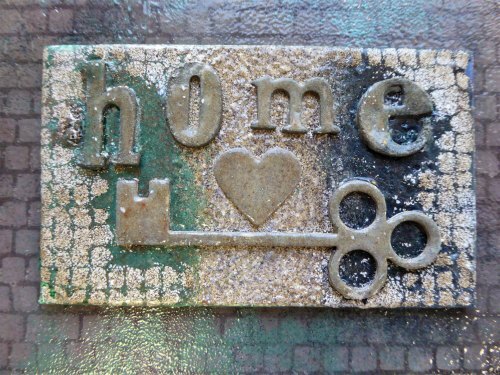 The layers you created on the home sign are so great! So gorgeous! They actually look like glazed ceramics! Each of these are absolutes treasures.